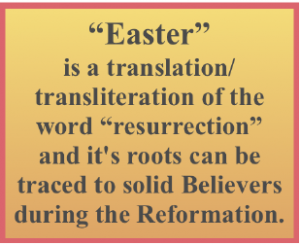 Over the last 50 years or so, many people have written about the pagan origins of the word “Easter.” And, despite the word being used in the KJV translation in Acts 12:4, a lot of Believers in good Bible-teaching churches have been taught that “Easter” can be linked to the fertility Goddess Astarte and other such proclamations. Patterson pointed out that the basis for which the connection between Easter and Astarte is made is like saying, “Since Babylon was called the ‘Golden City,’ then McDonalds ‘golden arches’ must be rooted in Satanic ritual.” That’s quite a stretch! And now the myths of Easter’s origins have been repeated so long and so often that most believe them to be fact… when they’re not facts at all. 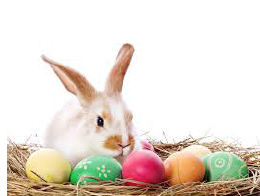 Just to be clear, Easter bunnies and colored eggs ARE terrible–in a league with Santa Claus–missing the mark altogether and should never be part of any Christian Easter/Resurrection Day celebration. But the word “Easter” actually comes from the German root word for “Resurrection.” And the reformers of Martin Luther’s day were the first to use the word, which had zero connection to Astarte the fertility god. So much for making “Easter” the bad guy. That being said, I still believe we should call the day of Jesus’ resurrection “Resurrection Sunday,” if for no other reason than to make the point that it has nothing to do with the Easter bunny and colored eggs. However, there IS a real BIG PROBLEM with WHEN we celebrate Resurrection Sunday–of which few Christians seem to be aware. And even though almost all Protestant churches will continue to celebrate Easter or Resurrection Sunday on the verifiably wrong Sunday, it’s important for Believers to know when and why it should be celebrated. 1) The Birth of Jesus. 2) The Death of Jesus. 3) The Resurrection of Jesus. 4) The Arrival of God’s Holy Spirit to indwell Believers on earth. 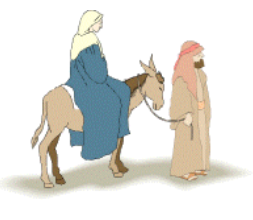 Two of the four get a lot of attention from Believers: Christmas and Resurrection Day. The Day Jesus Died Jesus died during the Passover celebration either in 30 AD or 33 AD. Nisan 14 fell on Wednesday in 30 AD and Friday in 33 AD. Bible scholars are not unanimous on which is correct. But frankly it’s a moot point regarding His resurrection because whether His death occurred in 30 AD or 33 AD, the Feast of First Fruits would have been the following Sunday. The Day Jesus Was Resurrected But the Lord DID tell us when the Resurrection occurred. It occurred the Sunday after the Passover Shabbat, on the Feast of First Fruits. And the date for the first Passover celebration is quite clear in Exodus 12. Therefore, it’s a no-brainer that we should be celebrating Resurrection Sunday on the Feast of First Fruits, or the first Sunday following the Jewish Passover. The Jews go to great lengths to celebrate Passover on the correct date that God instructed, on Nisan 14. 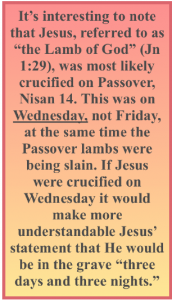 So it’s not rocket science to know what day the Jewish Passover should be celebrated– it’s Nisan 14 on the Hebrew calendar–and all we have to do is celebrate Jesus’ Resurrection Day on Feast of First Fruits, which is the Sunday following. But often we don’t! 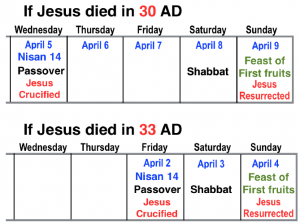 Strangely, the date we celebrate Easter/ Resurrection Sunday has no connection to Passover and sometimes it doesn’t even fall on Passover week! Last year we missed it by a month! You have the same dilemma for 2021 and 2024 as the Catholic Easter dates also fall on different dates than the Passover week. Why Are The Dates Off? So what happened that made Christians start celebrating Easter/ Resurrection Sunday on the wrong dates every few years? The answer is rooted in Catholic anti-Semitism. By the early fourth century, many leaders of the church were still celebrating Passover and the Resurrection every year beginning on Nisan 14, the day of Jesus’ crucifixion. Others were making the celebration day the first Sunday after Passover, which was scripturally correct. Both days had notability as Jesus HAD to shed blood and He HAD to rise again. In 325 AD, the first Council of Nicaea met. 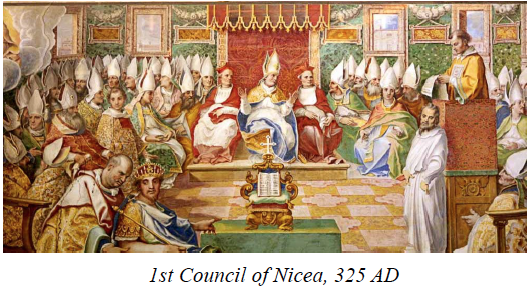 These were Catholic Bishops gathered by Constantine in the city of Nicaea. They addressed and voted on several theological issues, including the issue of what day to celebrate Resurrection Day–the 14th of Nisan (Passover) or the Sunday following the 14th. The Nicean Bishops dismissed Nisan 14th because they wanted to distance themselves from the Jewish Passover. The Catholics believed that because the Jews killed Jesus the Church had inherited all the Biblical blessings from God. This anti-Semitic view of God’s chosen people still prevails today in the Catholic Church. But it gets worse! Not wanting to connect anything to the Jewish Passover, they also discarded the Sunday following Passover, the Feast of First Fruits, as the day to celebrate Easter. These Catholic Bishops decided against using scripture to determine the date. Instead, they decided that Easter/Resurrection Day should be completely unrelated to scripturally based Passover date! Good grief, what were they smoking! The Bishops instead came up with their own ridiculous and unbiblical way to determine when the Resurrection Day occurred! Specifically, they decided Easter should fall on “the first Sunday following the first ecclesiastical full-moon that occurs on or after the day of the vernal equinox.” The vernal equinox is when the sun crosses the equator in the spring, which is the first day of spring. By the Catholic Church basing the Resurrection Sunday date on the moon and the first day of spring, it removed any possibility of Easter being connected to Passover! Really? 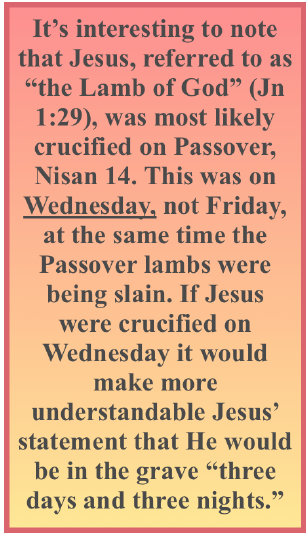 Let’s think about that for a moment… God established the specific day for Passover to be celebrated, Nisan 14. This was one of the greatest days in the entire Old Testament. Jews were commanded to celebrate the day each year with a feast, forever! And don’t forget that Believers are adopted/grafted into the Jewish promises. The Bible tells us that Jesus was crucified during the Passover celebration and His tomb was discovered empty early Sunday morning, three days and three nights later, on the Feast of First Fruits. Therefore the Resurrection is forever tied to Passover and the Jewish feasts. But rather than connect Resurrection Day to the Passover and celebrate our Jewish roots, the spiritually defiant leaders of the Catholic Church decided to change the date of the Resurrection so as not to be connected to the Jewish Passover! That is like changing/ adding to God’s Word–which is NOT GOOD! This was Satan at his best–getting the Catholic Church to loathe Israel and the Jews so much they didn’t want to be associated in any way with the Jewish Passover. And all this stems from the Catholics holding to an a-millennial doctrinal stance … foolishly believing the Church has inherited God’s promises to the Jews. This also proves the incredible importance of accurately understanding Bible prophecy! 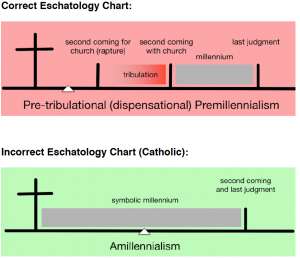 If you have the wrong eschatological position it will distort how you interpret the scriptures. The Catholic Church holds to an a-millennial position which means they don’t take scripture literally. For instance they take the six references to a “thousand years” of Jesus’ reign on earth to mean a “long time.” Correctly using a literal translation we understand that Jesus will reign 1000 years on the earth as King. If the Catholic Church properly viewed the scriptures literally, they would be pre-millennial and embrace the Jews as God’s chosen people. But their poor doctrine and anti-Semitic views blinded them to the point that they incorrectly changed the day we celebrate Resurrection Day. But we can’t be too hard on the Catholics. 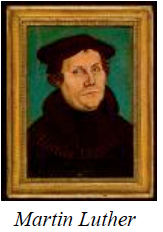 Martin Luther also misunderstood and loathed Israel and the Jewish people. (4) Although he was correct with his protesting of Catholic Church doctrines and policies, God did not reveal to him at that time the Catholic Church’s incorrect eschatology positions. 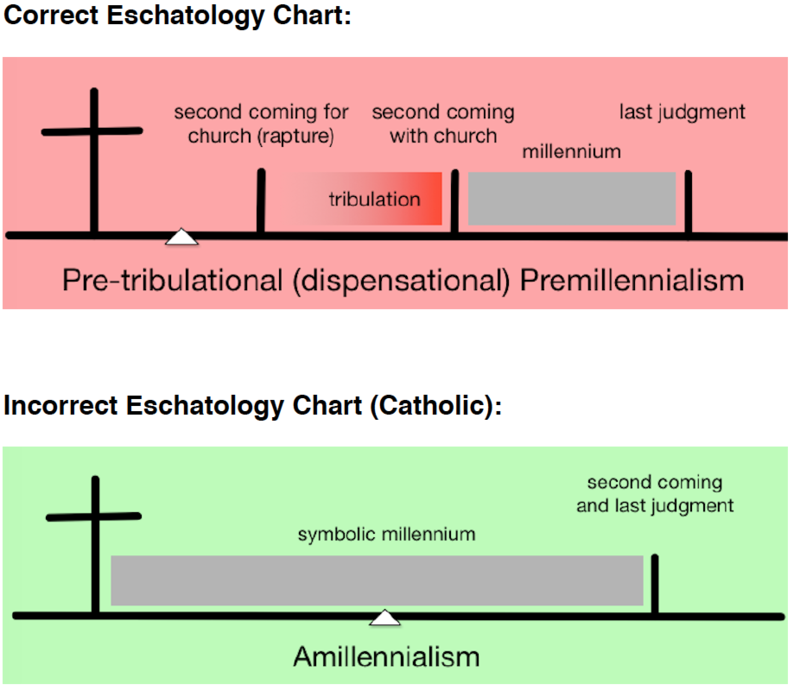 In fact, Catholic eschatological error continued to be passed down to Protestant denominations for another 100 years or so before pre-millennial doctrines exposed the error of a-millennial theology. 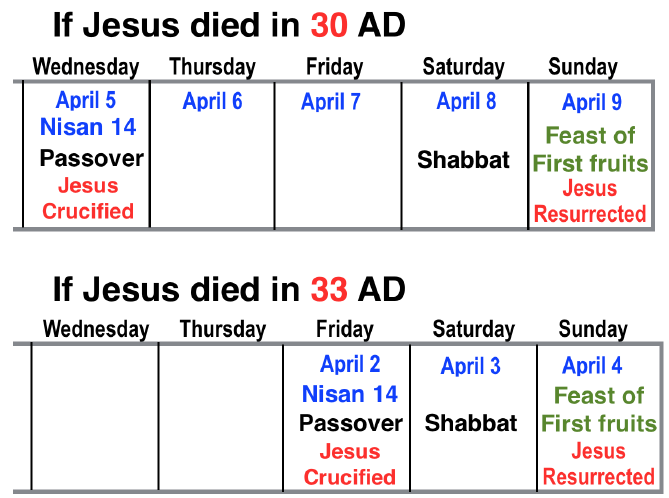 Summary So to nail shut the case for which day we should be celebrating Resurrection Day, we need to quit being led by the incorrect calendar dates of the Catholic Church. Instead, we should use the scripturally commanded Nisan 14 date to determine which Sunday to celebrate. Bottom line, Resurrection Day should be the Sunday following Passover. This year it falls, by chance, on the correct day. But it has no connection to Passover, which as Believers adopted into the Jewish promises, we should also be celebrating each year! So if you’re a pastor reading this, do you have the spiritual conviction to celebrate Resurrection Day on the Sunday following the Jewish Passover in the years to come? Or are you just going to continue using the incorrect dating of the Catholic Church? Pray about it! If you would like to print this article click here:Should We Celebrate “Easter”? This article can be posted, forwarded, passed around, etc., only if you include the credits.